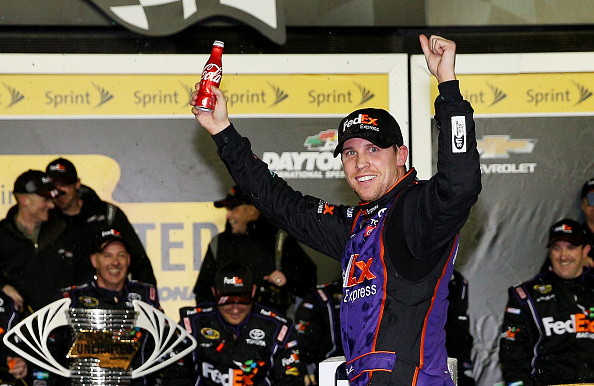 Denny Hamlin celebrates his win in the NASCAR Sprint Cup Series Sprint Unlimited at Daytona International Speedway on February 13, 2016 in Daytona Beach, Florida. 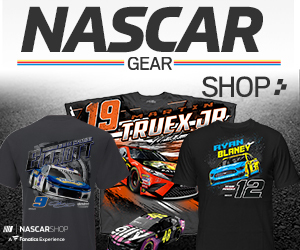 DAYTONA BEACH, Fla. – Denny Hamlin raced his battle scarred Joe Gibbs Racing Toyota to overtime win in the NASCAR Sprint Unlimited at Daytona International Speedway Saturday night. It was Hamlin’s third win in the non-points exhibition race, and his second in the last three years. Hamlin pitted on the 13th of the 75 scheduled laps and was able to stretch out his fuel and avoid the worst of the carnage that left only 8 of the 25 cars to cross the line in the end. 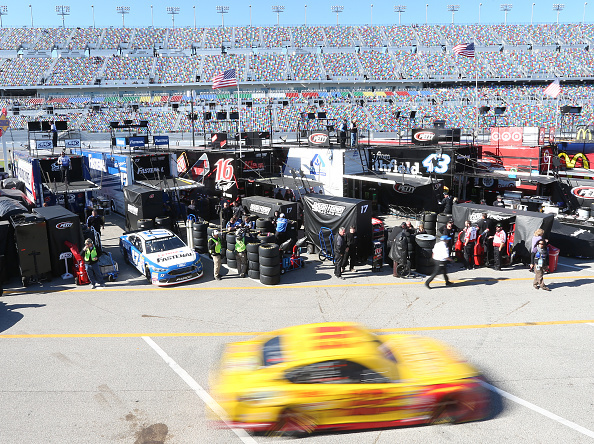 The race featured the first use of NASCAR’s new overtime line that allowed for multiple attempts at a green white checkered flag finish. Hamlin and Joey Logano were side by side for the lead and took the white flag but Hamlin was able to pull ahead as behind them a six car pileup erupted. Hamlin held a clear lead into turn three when NASCAR threw the final caution giving the win to Hamlin. “It was just such a dilemma for me to figure out what lane to start in,” Hamlin said.